The limited liability company (LLC) is the most commonly used form of business in the United States. Many business owners choose to form an LLC because it is simple, protects the company, and shields the owners’ personal finances from the business’s liabilities. An LLC is a business structure that is designed to allow maximum flexibility while preserving the corporate veil that protects a company owner from being personally liable for the business’s debts. However, this veil does not protect the owner (called a “member” in an LLC) from liabilities in all cases. In fact, a member’s interest or stake in an LLC is actually considered his or her personal assets, rather than a business asset. Even though an LLC is created to separate the business’s finances from the members’ finances, an individual member’s interest in the LLC could become subject to a court order to pay a creditor in certain circumstances. This means that a creditor seeking payment on a member’s personal debt could take that payment out of a member’s distributional interest in the LLC. Since the member’s interest in the LLC (which is essentially their stock in the corporation) is their personal asset, creditors aren’t seeking payment from the business itself. So, this kind of debt collection doesn’t violate the legal separation of personal and business finances under the LLC structure. Illinois law is very specific when it comes to a creditor’s remedies against a member’s interest in the LLC. To learn more about these remedies, read the information below. An LLC member’s interest in their business is considered a personal asset. If an LLC member personally owes a creditor, that creditor may be able to seek payment from the member’s interest in the LLC. Since an LLC insulates the business finances from the members’ finances, Illinois law specifies how a creditor can get payment from a member’s interest in their company. In such cases, Section 805 ILCS 180/30-20 of the Illinois Compiled Statutes states that creditors must file for a charging order in court. This law allows a charging order to operate as a lien on the distributions that the judgment debtor normally receives. Put simply, this law lets a creditor file a motion in court for a charging order, which would then entitle the creditor to collect the judgment amount out of an LLC member’s interest in their business. Let’s break this down further, and look at an example of how charging orders are used in relation to LLCs. Alan is a member of an LLC. His interest in the business entitles him to a $6,250 distribution payment each quarter. Alan has $25,000 of personal debt, which he owes to a home remodeling company. Unfortunately, Alan didn’t make payments on this debt, and it was sent to a collection attorney. The creditor seeks payment from Alan’s personal assets and finds out he has an interest in the LLC. The creditor goes to court to get a charging order for his interest in the LLC. If the court grants the order, the LLC would have to pay Alan’s distributional interest directly to the creditor, rather than to Alan. It is important to note that according to Section 805 ILCS 180/30-20, “A charging order grants no other rights with respect to the assets or affairs of the company.” This means the charging order would not permit Alan’s creditor to seek payment on his debt from company assets, only from Alan’s interest in the LLC. This is good news for the LLC because it is not responsible for paying Alan’s debt. The LLC’s only responsibility in this scenario is paying the amount of interest Alan would normally get to his creditor, rather than to Alan himself. In this example, the company’s structure as an LLC protected it from being liable in any for a member’s personal debt. Can Creditors Force the Sale of Interest in an LLC? After the court grants the charging order, the creditor has the right to seek payment from the debtor’s interest. So, any interest distributions would go directly to the creditor, rather than the LLC member. But what if the judgment isn’t satisfied by the distribution? In that case, the creditor can seek to foreclose the charging order and sell the interest to gain payment. Using the above example, let’s say that Alan’s interest in the LLC garners him $6,250 per quarter, and his total interest is valued at $25,000. Alan’s creditor has a charging order entitling them to payment on this interest. However, Alan’s quarterly payment of $6,250 doesn’t satisfy the $25,000 judgment. The creditor has two choices: it can continue to receive payment on Alan’s interest each quarter until the judgment is satisfied, or it can ask the court to foreclose the charging order. Foreclosing the order would allow the creditor to sell Alan’s total interest as soon as possible so that the entire judgment can be satisfied quicker. Whether a creditor chooses to foreclose a charging order depends on a variety of factors, including the amount of the judgment and its own financial viability. Foreclosing can allow creditors to get payment sooner rather than later, which may be helpful if the creditor is a small business seeking payment for goods or services it already delivered. However, if the judgment isn’t satisfied by the sale of the interest, the debtor would still be personally responsible for paying any remaining amount. Forming an LLC offers a great deal of legal protection for members. With this type of business structure, owners are not personally responsible for any debts the business owes. However, LLC members don’t have the same protection when they personally owe a debt. In such cases, the LLC structure does not insulate the business owners from creditors seeking payment. Since an ownership interest in an LLC is considered a personal asset, it may be subject to debt collection. This means that creditors may be able to seek payment from a member’s interest. While Illinois law does allow creditors to do so, this is often a last resort after seeking payment from other personal assets such as bank accounts. In some cases, a creditor may be a business trying to get compensation for goods or services. Other times, the creditor seeking a charging order may be a collection agency. 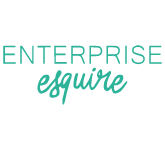 If you are a business owner in Illinois with concerns about either owing or being owed a debt, contact our experienced business attorney at Enterprise Esquire by scheduling a a FREE 15 min consultation here. All special offers, discounts and other exclusive offers are sent to our subscribers. SIGN UP TODAY! Jan 3 Principal v. Supplemental Trademark Register: What’s the Difference?